Camping makes me want to run a mile – and I don’t care who knows it! I am someone who likes the finer things in life, so thank goodness for ‘glamping’. Glamping in the UK has revolutionised the ‘camping’ market, and I would argue nowhere more so than in bonnie Scotland. So… are you a camper or a glamper? Do you associate camping with wet clothing and tent pegs that somehow contorted themselves? Or perhaps the best holidays you’ve had have been spent in a tent, enjoying the great outdoors and getting back to nature? 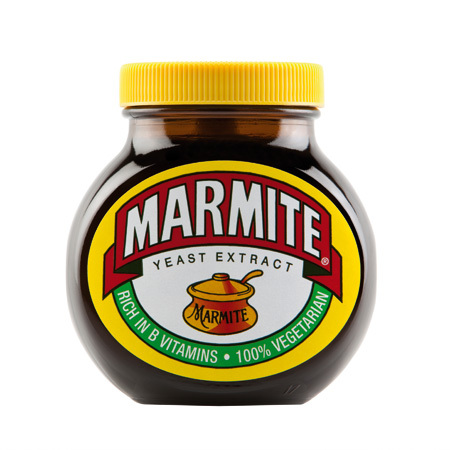 Either way, camping is like Marmite – you either love it or loathe it. Camping is the same as this jar...kind of. But for those of us who prefer comfortable holidays in the outdoors, we now have glamping. Arguably, two glamping types are the most popular – camping pods and Wigwams. These words are interchangeable, and other associated terms include ‘cabins’, ‘lodges’ and ‘huts’. To the novice glamper all these could be considered one and the same, yet there are significant differences between them. So where did it all begin? Well, the question should really be, why did it start? Given the unpredictable nature of the UK’s weather, the varied school holiday dates and the availability of ‘cheap air flights abroad’, the idea of a great holiday in the great outdoors here in the UK became a bit of a joke. 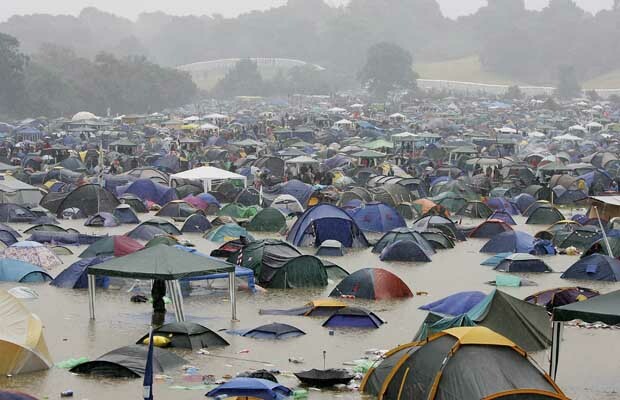 Hands up, if like me, you have memories of disappointing summer weather and below-par holiday accommodation. Times have changed beyond recognition, and now, thanks to Wigwams and pods, a great outdoors holiday here in the British Isle is not only possible, it is also enjoyable, affordable and comfortable. And due to innovative construction design, you can partake of glamping breaks all year round. Back in 1989, then student Charles Gulland dreamed up the first of many designs for a sustainable ‘lodge’ built from freshly felled trees and locally grown timber. Strange timber pyramids or cabins appeared in Scotland’s countryside, looking like wooden tents, the first of many innovative designs that today include five Wigwam models (see below). Thus ‘the glamping cabin’ became a popular, year-round and affordable structure for the tourist industry. And other manufacturers started to take notice. The camping pod also arrived on the scene. 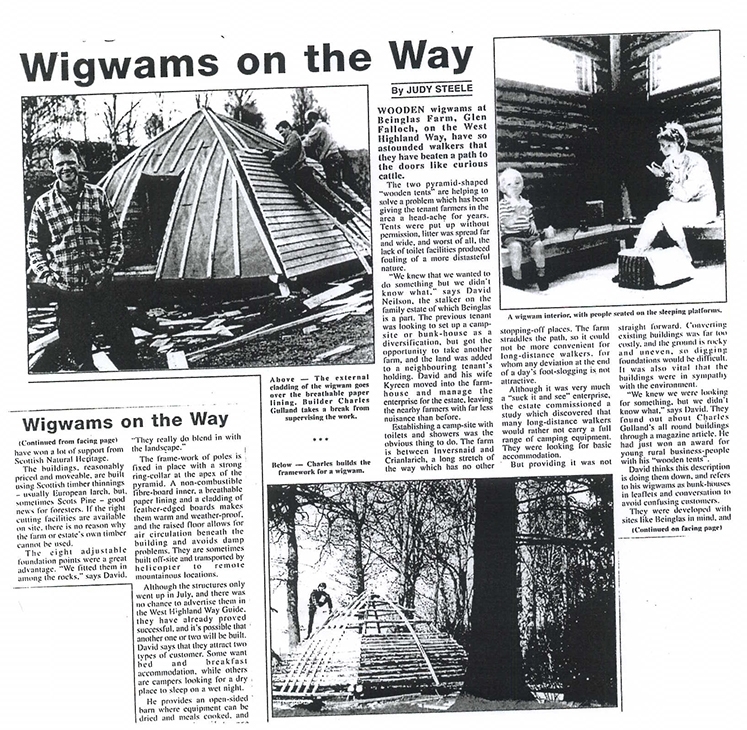 So – Wigwam or Pod? In terms of design and durability, Wigwams and pods have similarities: timber-built, insulated, double glazed windows and doors, mattresses, decking. Pods come in numerous shapes – armadilla, hobbit, and cylindrical – and in a variety of sizes, from a small construction to something more substantial. Scotland includes numerous pod listings, which are located throughout the nation. Search ‘camping pods’ on the web and countless matches will come up from a yurt to a shepherd’s hut. Yet we also have Wigwams, always with a capital W? As a registered trademark, Wigwam sites – 38 in Scotland alone – are the recognised brand, built for people who like to have a comfortable place to rest their head, pretty much whatever the weather. Wigwam Holidays, who build, supply and support Wigwam sites, have a simple, unified mantra: ‘A Great Holiday in the Great Outdoors’. And their series of five ‘types’ - Wee Brave, Big Chief, Running Water, Running Water One and Running Water Two – has helped make them the market leaders in glamping cabins. The introduction of en-suite facilities in their Running Water models means Wigwams are an exceptionally well-equipped accommodation type – and there’s space for a kitchen dining area, a double and single bed too! Wigwams are also expertly made - if you go to a site in Cornwall, or a site in Skye, the quality is the same. So, what’s the score? Wigwam or camping pod? Wigwams are substantial and offer year-round, ‘green’ holiday accommodation. Pods are a bit more funky having novelty of being a different shape to its Wigwam counterpart. For me, it’s the use of sustainably sourced timber, the quality of the product and the overall revitalised notion of ‘the staycation’ (avoiding those headache-inducing queues at the airport) that means glamping is a viable alternative to a package holiday. And with over 70 sites in the UK, the Wigwam Experience is just waiting to be explored!